You’ve heard of Pi Day, and you might know about National Doughnut Day, but these two holidays are far from the only celebrations of baked goods. We’re always eager to learn about more of these holidays — after all, who doesn’t love free food? And today, May 15th, we’re in luck because it’s National Chocolate Chip Cookie Day. Not to be confused with National Cookie Day (that’s in December), today is all about celebrating the classic combination of semisweet chocolate and warm, gooey cookies — with maybe a glass of milk or two to wash them down. In honor of this very important holiday, here’s where you can find the free cookies and other discounts being offered for National Chocolate Chip Cookie Day. Download the 7-Eleven app, and you’ll be blessed with 800 7Rewards points. These points are just enough to get you a free two-pack of fresh-baked chocolate chunk cookies. The best part? This deal works year-round, so even if you miss the festivities today, you can get your chocolate chip fix tomorrow. According to Thrillist, you can grab five classic chocolate chip cookies from participating Toll House cafes for $5.15 today. It’s not exactly free, but it’s still a bargain for one of the most iconic chocolate companies. 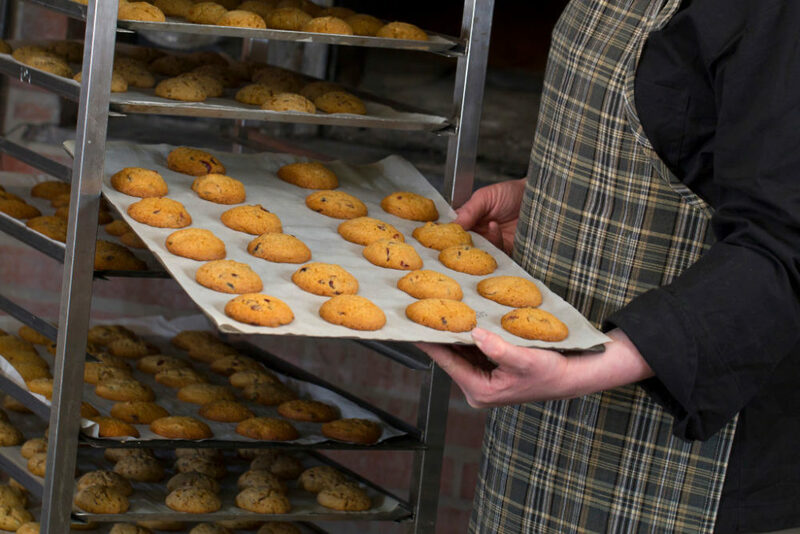 A free oatmeal chocolate chip delight cookie could be yours if you download the Potbelly app and enroll in the store’s Potbelly Perks program. Until May 21st, purchasing a large pizza will also get you a free dessert, including a giant cookie. Three of the restaurant chain’s locations are offering a free pizookie (giant cookie with ice cream) if you spend $9.95 or more today. But if you’re not near Mentor, Ohio; Valley Stream, New York; or South Hills, Pennsylvania, you can still snag one of these decadent treats for $3 (they normally cost $6.95). Any ice cream sandwich made with chocolate chip cookies is 10 percent off today at the ice cream shop’s Culver City, California and Pasadena, California locations. Our stomachs are growling just thinking about these deals. In the spirit of this holiday, feel free to embrace your inner Cookie Monster. Happy National Chocolate Chip Cookie Day!